The paint department here at May Hardware is continually striving to get the latest and best technology for matching and mixing paint. That is why we just upgraded both our paint colorant dispenser and our computerized color matching equipment. This means that we will be able to match that color you want to match from almost any sample. It also means that we may be able to remix that gallon of paint that you bought but now realize it needs to be a shade darker. 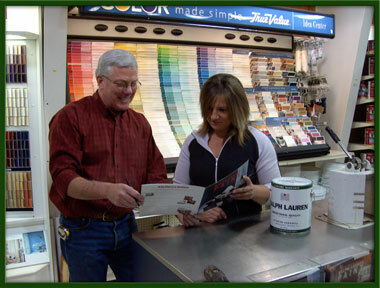 Sherry, our paint department manager, has years of experience and has a great eye for colors too!